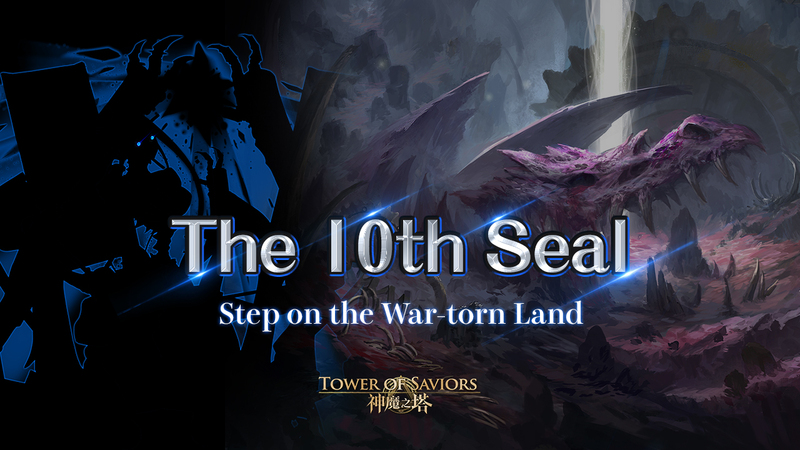 Beginning version 16.0, summoners who have cleared the 9th seal will be able to go deep underground into the 10th seal, which is divided into 4 areas. Certain races will initially be prohibited from entering, but can be subsequently removed by clearing each area boss. Click on the stage name to jump to the specific post with its stage information. 4a (in order) Yusuke 1’s cd6, Kurama’s cd6, switch both Yusuke’s to enchant earth, then spin the puzzle shield. If fail to kill (either due to insufficient earth runes or a mis-spin), just switch Kurama and use his EP10 skill, but you’d need to charge back his EP during the following revived form (4b). 8b Switch Gon and use his EP10 skill. Use Mai's (effect 2) convert and let the rune dissolve. 3 Spin the first 2 HP bars, then switch and use Yusuke 1’s EP10 for the third HP bar. For the final HP bar, activate Raizen and dissolve the pre-arranged board. 6 Continue charging EP if haven't. When ready, use Kurama's cd6, then Ghroth (stack water). 8a Transform Kurama and use his EP5 skill. Stack the light from the pre-arranged board according to this link. 3 Spin, use Shuta to speed things up. Feel free to use Yusuke 1's cd6 when it's up again. 1 Get hit 3 times (to build multiplier), the kill. 4a Dissolve away all the water runes in the first round (for this, don't bother with the vortex). Then, use Faraday to kill. 5 Manual spin enchanted (be careful of moving weathered). Starting from here, you need to charge Yusuke 1's EP (by dissolving water) 6 times before wave 9. 6a & 6b already provides 2 EPs, so the balance 4 should ideally be charged here or in wave 7. 6a Stall 5 rounds (for Jellal to be ready for the next wave), then kill. 1 Get hit 3 times (to build multiplier), then kill. 4a Stall until Faraday is back up (just keep dissolving the converted light runes without spinning), then kill. 4b Dissolve away earth runes in the first round if there are too many (cause Faraday'll will convert them to light), then switch Kurapika (don't use his cd6 skill, or it'll be hard to stall later), use his EP10 skill, and also use Faraday (stack the light runes). 8a Stall 6 rounds for Sensui and Faraday (if you're bad at monochrome runes, be prepared to use your craft for emergency healing). When ready, use Faraday and Sensui's cd6 skill. 4a Spin + craft. If not dead in 1st turn, the craft'll give you another turn to kill. 6 Use Natsu's team skill, then dissolve a single group of 3 runes at the top of the board (if this group isn't fire, make sure that there aren't any fire runes next to it), making sure to follow the vortex. The fire skydrops will give you 11 total combos. 1 Stall 7 rounds, then kill. 1 Stall 6 rounds, then kill. 3 Switch Yusuke 1, then use his EP10 skill. The enemy will only receive Damage when all present Light Runestones are dissolved (dissolving Light Runestones is necessary and only the first batch is counted). When moving Runestones, all touched Runestones will become Masked Runestones. The enemy only receives Damage dealt by Enchanted Runestones. The enemy attacks once at the beginning of the first Round, and turn the 2nd and 5th columns of Runestones into Dark Runestones. After that, upon receiving Damage from the enemy's attack for the first time, a random row of Runestones will be turned into Dark Runestones; for the second time, a random column of Runestones will be turned into Dark Runestones. The above attacks run as a cycle (excluding the first attack). All Runestones will be locked in the first Round. After that, all Heart Runestones will be locked every Round. If any Locked Runestone remains, the enemy recovers HP as much as the Damage dealt by Summoner in the Round. Heart Runestones cannot be dissolved. 90% of Summoner‘s HP will be deducted when the enemy attacks (regardless of all Damage-reducing and Willpower Skills). The enemy will not receive any Damage including those caused by Active Skills. For each Heart Runestone dissolved, 5% of the enemy's HP will be deducted. Heart Runestone position(s) will become sticky. By touching a sticky position, Runestone movement will be stopped immediately. When a Light Combo is made, attacks of the Team will be nullified. The more Light Combos made, the more times the enemy attacks in the Round. Only the first batch of Runestones dissolved will be counted. Each Round before Summoner starts moving Runestones, 2 Light Runestones will be electrified. If any Electrified Runestone is touched, Runestone movement will be stopped immediately; if any Electrified Runestone is not dissolved, no Damage could be dealt to the enemy that Round. The enemy raids once at the beginning of the first Round, and the bottom row of Runestones will be weathered. 2 random Runestones will be weathered after receiving Damage from the enemy's attack. If any Weathered Runestone is touched, Runestone movement will be stopped immediately and a Damage of 3,000 will be dealt to Summoner. At the beginning of the first Round, the enemy will lock the Active Skills of all Members. The enemy receives Damage only when 7 or more Combos are made. If not, the enemy will launch a number of attacks to the Summoner. The number equals the difference between 7 and the number of Combos made. The enemy disregards all Controlling Skills. When moving Runestones, all touched Runestones will become Masked Runestones. When a Dark Combo is made, the enemy reflects 50% of its Attack and recovers HP as much as the Damage dealt by Summoner in the Round (only the first batch of Runestones dissolved will be counted). The enemy attacks regardless of all Controlling Skills, Damage-reducing and Willpower Skills. When the enemy's HP > 50%, the next Damage dealt will not defeat the enemy (including Active Skills). When the enemy's HP becomes 1, its HP will be fully recovered (one activation only); HP and Attack of the enemy x 2. A random number of Combos will be assigned. Damage can be dealt to the enemy only by making the same or ±2 number of Combos (dissolving Runestones is necessary) (only the first batch of Runestones dissolved will be counted). If the same number of Combos are made, the enemy will not attack in the Round; if not, the enemy launches a number of attacks. The number equals the difference between the assigned number and the number of Combos made. The enemy receives Damage only when Enchanted Earth Runestones are dissolved according to the shape of the frame (Runestones adjacent to the frame cannot be dissolved together). Damage dealt to the enemy by non-Fire attacks will be lowered to 10%. The enemy will only receive Damage when all present Heart Runestones are dissolved (dissolving Heart Runestones is necessary and only the first batch is counted). 9 random Runestones will be masked at the beginning of the first Round; there is a substantial chance that Masked Runestones will be generated every Round. The enemy raids once at the beginning of the first Round. 3 random positions will be burned after receiving Damage from the enemy's attack. Every time when a burned position is touched, 10% of Summoner's HP will be deducted. At the beginning of the first Round, the enemy will lock the Active Skills of all Members. When the Skills are locked, each Round while Summoner is moving Runestones, 1 random Runestone will be weathered. If any Weathered Runestone is touched, Runestone movement will be stopped immediately The enemy receives Damage only when 7 or more Combos are made. If not, the enemy will launch a number of attacks to the Summoner. The number equals the difference between 7 and the number of Combos made. The enemy disregards all Controlling Skills. At the beginning of the first Round, the enemy will turn into Water Attribute and turn Runestones of a random type into Water Runestones. When a Water Combo is made, attacks of the Team will be nullified. The more Water Combos made, the more times the enemy attacks in the Round. Only the first batch of Runestones dissolved will be counted. The enemy disregards all Controlling Skills. When the enemy receives Damage of its Attribute, Damage will be lowered to 10%. All Runestones will be locked in the first Round. Runestones of the enemy's Attribute will be locked as Summoner receives Damage from the enemy's attack. Team Attack -20% for each Locked Runestone dissolved (triggering Dragonic Compulsion will be regarded as dissolving all present Locked Runestones). 50% of Summoner‘s HP will be deducted when the enemy attacks (regardless of all Damage-reducing and Willpower Skills); the more number of Damage the Summoner received, the more the enemy's Attack will increase. The enemy will only receive Damage when all present Dark Runestones are dissolved (dissolving Dark Runestones is necessary and only the first batch is counted). The enemy will only receive Damage when all present Water Runestones are dissolved (dissolving Water Runestones is necessary and only the first batch is counted). The enemy attacks once at the beginning of the first Round; 2 random positions will be burned. The burning area will extend to 1 adjacent position afterwards upon receiving Damage from the enemy's attacks. Every time when a burned position is touched, 10% of Summoner's HP will be deducted. Damage dealt to the enemy by Fire and Earth attacks will be nullified. The enemy only receives Damage dealt by Enchanted Runestones. The enemy attacks once at the beginning of the first Round, and turn the 2nd and 5th columns of Runestones into Light Runestones. After that, upon receiving Damage from the enemy's attack for the first time, a random row of Runestones will be turned into Light Runestones; for the second time, a random column of Runestones will be turned into Light Runestones. The above attacks run as a cycle (excluding the first attack). 10 fixed positions will be burned. Every time when a burned position is touched, 10% of Summoner's HP will be deducted. The enemy will only receive Damage when all present Water Runestones are dissolved (dissolving Water Runestones is necessary and only the first batch is counted). The more the enemy attacks, the more its Attack will greatly increase. When it has attacked for a certain number of times, the enemy attacks twice a Round. All effects in play will be cancelled by the enemy at the beginning of the first Round; CD of the cancelled Skills will be reset. Each Round before Summoner starts moving Runestones, a random type of Runestones will be turned into Fire Runestones. When a Fire Combo is made, attacks of the Team will be nullified. The more Fire Combos made, the more times the enemy attacks in the Round. Only the first batch of Runestones dissolved will be counted. When moving Runestones, recently touched Runestones will become sticky. If Sticky Runestones are touched, Runestone movement will be stopped immediately. Each Round before Summoner starts moving Runestones, 3 random Runestones will be weathered. If any Weathered Runestone is touched, Runestone movement will be stopped immediately and a Damage of 15,000 will be dealt to Summoner. When a Water Combo is made, attacks of the Team will be nullified. The more Water Combos made, the more times the enemy attacks in the Round. Only the first batch of Runestones dissolved will be counted. All effects in play will be cancelled by the enemy at the beginning of the first Round; CD of the cancelled Skills will be reset. Team Attack will be lowered to 20% for 3 Rounds. The lower the enemy's HP, the dramatically greater its Attack will be. When its HP drops to a certain level, the enemy attacks twice a Round. A random type of Runestones will be turned into Water Runestones at the beginning of the first Round. When the enemy attacks for the first time, a random row of Runestones will be turned into Water Runestones; for the second time, a random column of Runestones will be turned into Water Runestones. The above attacks run as a cycle. When a Water Combo is made, the enemy recovers HP as much as the Damage dealt by Summoner in the Round (only the first batch of Runestones dissolved will be counted). The enemy attacks twice in a Round. The lower the enemy's HP, the slightly greater its Attack will be. Each Round before Summoner starts moving Runestones, all Fire and Earth Runestones will be locked; Team Attack -10% for each Locked Runestone dissolved (triggering Dragonic Compulsion will be regarded as dissolving all present Locked Runestones). The enemy is invisible until its first attack. Before it reveals itself, it receives no Damage (except for Active Skills), regardless of all Controlling Skills. After the enemy has attacked while being invisible, all Active Skills will be locked for 4 Rounds. 10 Runestones at fixed positions will be weathered after defeating the enemy. If any Weathered Runestone is touched, Runestone movement will be stopped immediately. The enemy receives Damage only when Enchanted Water Runestones, Enchanted Fire Runestones, Enchanted Earth Runestones, Enchanted Light Runestones and Enchanted Dark Runestones are dissolved in the same Round. For 3 Rounds, Active Skills and attacks of non-Demons and non-Elves will be locked. The enemy poisons all Monsters, causing a Damage of 70% of Summoner's HP every Round until its defeat. At the beginning of the first Round, all effects in play will be cancelled by the enemy; a random type of Runestones will be turned into Light Runestones. Upon receiving Damage from the enemy's attack for the first time, a random column of Runestones will be turned into Light Runestones; for the second time, a random row of Runestones will be turned into Light Runestones. The above attacks run as a cycle. The enemy will only receive Damage when all present Dark Runestones are dissolved (dissolving Dark Runestones is necessary and only the first batch is counted). The enemy raids once at the beginning of the first Round, and 4 random Runestones will be weathered. After that, 3 random Runestones will be weathered each Round. If any Weathered Runestone is touched, Runestone movement will be stopped immediately and a Damage of 3,000 will be dealt to Summoner. The enemy disregards all Controlling Skills. The enemy receives Damage only when 7 or more Combos are made. If not, the enemy will launch a number of attacks to the Summoner. The number equals the difference between 7 and the number of Combos made. At the beginning of the first Round, the enemy will turn into Light Attribute and turn Runestones of a random type into Light Runestones. A random row of positions will be shot. By touching any of the shot positions, Runestone movement will be stopped immediately. When a Light Combo is made, attacks of the Team will be nullified. The more Light Combos made, the more times the enemy attacks in the Round. Only the first batch of Runestones dissolved will be counted. The enemy will only receive Damage when all present Earth Runestones are dissolved (dissolving Earth Runestones is necessary and only the first batch is counted). The enemy receives Damage only when 6 Combos are made (only the first batch of Runestones dissolved will be counted). As long as one enemy survives, it will fully recover its HP and absorb all abilities from all its defeated companions. At the beginning of the first Round, the enemy will lock the Active Skills of all non-Earth Members, and casts the following permanent debuff on Summoner: every Round when Heart Runestones are dissolved, Team Attack -50%. 25% of Summoner‘s HP will be deducted when the enemy attacks (regardless of all Damage-reducing and Willpower Skills); the more number of Damage the Summoner received, the more the enemy's Attack will increase. The more the enemy attacks, the more its Attack will greatly increase. When it has attacked for a certain number of times, the enemy attacks twice a Round. The enemy only receives Damage if 15 or more Runestones of its Weakness Attribute are dissolved cumulatively (regardless of Attribute-altering Skills). If the above condition is fulfilled, the enemy will reset the number of Runestones accumulated when its CD reaches 0; if not, the enemy will attack. The enemy will only receive Damage dealt by Enchanted Runestones, regardless of all Controlling Skills. The lower the enemy's HP, the dramatically greater its Attack will be. When its HP drops to a certain level, the enemy attacks twice a Round. The enemy only receives Damage dealt by Enchanted Runestones. The enemy only receives Damage of its Weakness Attribute. The enemy attacks or changes its Attribute alternatively when the CD reaches 0. Each Round before Summoner starts moving Runestones, all Earth Runestones will be locked; if any Locked Runestone remains, it will explode; 20% of Summoner's HP will be deducted for every Runestone exploded. All effects in play will be cancelled by the enemy at the beginning of the first Round; CD of the cancelled Skills will be reset. Each Round before Summoner starts moving Runestones, a random type of Runestones will be turned into Heart Runestones. When a Heart Combo is made, attacks of the Team will be nullified. The more Heart Combos made, the more times the enemy attacks in the Round. Only the first batch of Runestones dissolved will be counted. Summoner will not be able to see the true Attributes of Runestones. The enemy will only receive Damage when all present Light Runestones are dissolved (dissolving Light Runestones is necessary and only the first batch is counted). The enemy's asleep at the beginning of the first Round. When the enemy's asleep, it will not launch any attacks; 2 random Runestones will be locked each Round while Summoner is moving Runestones. If any Locked Runestone is touched, Runestone movement will be stopped immediately; the enemy recovers HP as much as the Damage dealt by Summoner in the Round; the enemy awakes from sleep, with its Attack x 5 next Round, regardless of all Damage-reducing and Willpower Skills. The enemy disregards all Controlling Skills. At the beginning of the first Round, all Runestones will be masked; the enemy will clear the power gathered in the Craft Apparatus. The enemy will lock the Active Skills of all Demons from the first Round onwards; if Demon(s) is present, the enemy's Attack increases. When the enemy receives Damage of its Attribute, Damage will be lowered to 10%. When the enemy's HP < 50%, all Runestones will be turned into Masked Runestones next Round. The enemy attacks once at the beginning of the first Round, and locks all Earth Runestones. Every time the enemy attacks, the no. of attacks +1 cumulatively, to the max 6 attacks each Round. Earth Runestones will be locked according to enemy's no. of attacks. Team Attack -20% for each Locked Runestone dissolved (triggering Dragonic Compulsion will be regarded as dissolving all present Locked Runestones). When moving Runestones, recently touched positions would be burned. Every time when a burned position is touched, Summoner will receive a Damage of 1000. The enemy only receives Damage if 30 Fire Runestones are dissolved cumulatively. 2 random positions will be burned cumulatively upon receiving Damage from enemy's attacks. Every time when a burned position is touched, 20% of Summoner's HP will be deducted. The enemy disregards all Controlling Skills. Each Round before Summoner starts moving Runestones, 8 random Runestones will be weathered. If any Weathered Runestone is touched, Runestone movement will be stopped immediately. At the beginning of the first Round, Skill CDs and accumulated Rounds of all non-Humans will be reset. When moving Runestones, recently touched Runestones will become sticky. If Sticky Runestones are touched, Runestone movement will be stopped immediately. Damage dealt by attacks not of the enemy's Weakness Attribute will be lowered to 10%. The enemy raids once at the beginning of the first Round. Upon receiving Damage from the enemy's attack, a random column of Runestones will be turned into Water Runestones. The lower the enemy's HP, the greater its Attack will be. When its HP drops to a certain level, the enemy attacks twice a Round. Damage dealt to the enemy each Round will not exceed 25% of its total HP (Active Skill is excepted from this limitation). The enemy raids once at the beginning of the first Round. 3 random positions will be burned after receiving Damage from the enemy's attack. Every time when a burned position is touched, 10% of Summoner's HP will be deducted. At the beginning of the first Round, all effects in play will be cancelled by the enemy; all Earth Runestones will be weathered. If any Weathered Runestone is touched, Runestone movement will be stopped immediately and a Damage of 3,000 will be dealt to Summoner. If Demon(s) is present, the enemy's Attack increases. A random type of Runestones will be turned into Fire Runestones at the beginning of the first Round. When the enemy attacks for the first time, a random row of Runestones will be turned into Fire Runestones; for the second time, a random column of Runestones will be turned into Fire Runestones. The above attacks run as a cycle. When moving Runestones, recently touched positions would be burned. Every time when a burned position is touched, Summoner will receive a Damage of 1000. The enemy raids once at the beginning of the first Round, and 2 random Runestones will be weathered. After that, 1 random Runestone will be weathered each Round. The lower the enemy's HP, the more Runestones will be weathered, to the max 4 Runestones per Round. If any Weathered Runestone is touched, Runestone movement will be stopped immediately and a Damage of 3,000 will be dealt to Summoner. The lower the enemy's HP, the more times it attacks in a Round. The enemy raids once at the beginning of the first Round. Each Round before Summoner starts moving Runestones, Heart Runestones will be turned into Dark Runestones. When a Dark Combo is made, attacks of the Team will be nullified. The more Dark Combos made, the more times the enemy attacks in the Round. Only the first batch of Runestones dissolved will be counted. The column of positions on the far left side will be struck by a tornado in the first Round. The column of positions on the far right side will be struck by a tornado in the second Round. Runestones at those positions cannot be dissolved or exploded. If any of those positions is touched, Runestone movement will be stopped immediately. The above runs as a cycle. The enemy only receives Damage dealt by Enchanted Runestones. When the enemy is attacked by Damage dealt by non-Enchanted Runestones (including Active Skills), the enemy recovers HP as much as the Damage dealt. Each Round while Summoner starts moving Runestones, 1 random Runestone will be weathered. If any Weathered Runestone is touched, Runestone movement will be stopped immediately; no Damage could be dealt to the enemy that Round; the enemy launches 3 extra attacks. The enemy attacks regardless of all Damage-reducing and Willpower Skills. The enemy raids once at the beginning of the first Round. Upon receiving Damage from the enemy's attack, 3 random Runestones will be electrified. If any Electrified Runestone is touched, Runestone movement will be stopped immediately; if any Electrified Runestone is not dissolved, no Damage could be dealt to the enemy that Round. The enemy ignores all Damage-reducing and Willpower Skills. All Runestones will be locked in the first Round. After that, all Heart Runestones will be locked every Round; if any Locked Runestone remains, the enemy recovers HP as much as the Damage dealt by Summoner in the Round. 6 random Runestones will be frozen at the beginning of the first Round. After that, upon receiving Damage from the enemy's attack, the enemy will thaw Frozen Runestones, and instead burn their respective positions. Every time when a burned position is touched, 20% of Summoner's HP will be deducted. The enemy will not receive any Damage until its first Attack. The enemy receives Damage only when Enchanted Dark Runestones are dissolved according to the shape of the frame (Runestones adjacent to the frame could be dissolved together). The lower the enemy's HP, the slightly greater its Attack will be. The enemy disregards all Controlling Skills. The enemy will revive for 3 times after defeated, and explode all Fire Runestones to generate non-Fire Runestones after each revival. Upon the first revival, the enemy's Attack x 1.5, HP x 2; 2 random positions will be burned. Upon the second revival, the enemy's Attack x 1.5, HP x 3; 4 random positions will be burned. Upon the third revival, enemy's Attack x 1.5, HP x 4; 10 fixed positions will be burned; the enemy will attack every Round. Every time when a burned position is touched, 10% of Summoner's HP will be deducted. Each Round before Summoner starts moving Runestones, a random type of Runestones will be turned into Earth Runestones. When an Earth Combo is made, the enemy recovers HP as much as the Damage dealt by Summoner in the Round and reflects 100% of its Attack (only the first batch of Runestones dissolved will be counted). All effects in play will be cancelled by the enemy at the beginning of the first Round; CD of the cancelled Skills will be reset. The enemy receives Damage only when 8 or more Combos are made. If not, the enemy will launch a number of attacks to the Summoner. The number equals the difference between 8 and the number of Combos made. The enemy raids once at the beginning of the first Round, and turn odd columns of Runestones into Water Runestones. After that, a random type of Runestones will be turned into Water Runestones each Round; if the enemy's HP is < 50%, 2 random types of Runestones will be turned into Water Runestones each Round. For each Water Runestone dissolved, 0.2 second will be deducted from Runestone-moving time next Round; for each Enchanted Water Runestone dissolved, 1 second will be deducted from Runestone-moving time next Round (bottom out at 1 second for Runestone-moving time). When a Water Combo is made, attacks of the Team will be nullified (only the first batch of Runestones dissolved will be counted). If the enemy's HP is < 50%, its Attack x 2, regardless of all Damage-reducing and Willpower Skills. The enemy raids once at the beginning of the first Round. The Summoner receives a Damage of 1000 for every step moved while moving Runestones for 3 Rounds. Damage dealt to the enemy by Light and Dark attacks will be lowered to 5%. The following conditions must be fulfilled to deal Damage to the enemy: dissolving Enchanted Water, Enchanted Fire and Enchanted Earth Runestones in the same Round; dissolving no Light or Dark Runestones (only the first batch of Runestones dissolved will be counted). The enemy will turn into Water Attribute at the beginning of the first Round. All Water Runestones will be exploded by the enemy at the end of each Round. The more the Water Runestones exploded by the enemy in the Round, the higher the enemy's next attack. Water Runestones cannot be dissolved. The enemy disregards all Controlling Skills. Attack and Recovery can only be triggered when 6 or more Combos are made for 5 Rounds. Each Round before Summoner starts moving Runestones, 3 random Runestones will be petrified with 2 layers. A layer of a Petrified Runestone can be unpetrified by dissoving any one of the four Runestones adjacent to it by moving Runestones (only one layer can be unpetrified in the first batch of Runestones dissolved). If any Petrified Runestone is not dissolved, the enemy's Defense x 1000. All Light Runestones will be electrified at the beginning of the first Round. If any Electrified Runestone is touched, Runestone movement will be stopped immediately; if any Electrified Runestone is not dissolved, no Damage could be dealt to the enemy that Round. The enemy attacks twice in a Round. Summoner can only deal Damage to other enemies after defeating this enemy. Runestone-moving time will be reduced to 2 seconds. The enemy raids once at the beginning of the first Round. Upon receiving Damage from the enemy's attack, 4 random Runestones will be masked. Damage dealt to the enemy by non-Light attacks will be lowered to 10%. The enemy only receives Damage dealt by Enchanted Runestones. Each Round before Summoner starts moving Runestones, all Light and Dark Runestones will be locked; Team Attack -20% for each Locked Runestone dissolved (triggering Dragonic Compulsion will be regarded as dissolving all present Locked Runestones). When a Dark Combo is made, the enemy recovers HP as much as the Damage dealt by Summoner in the Round, and reflect 100% of its Attack (only the first batch of Runestones dissolved will be counted). If God(s) is present, Active Skills and attacks of all Members will be locked and all Runestones will be masked in the first Round. All Runestones will be in black and white. 100% of Summoner‘s HP will be deducted when the enemy attacks (regardless of all Damage-reducing and Willpower Skills). The enemy receives Damage only when 6 or more Combos are made. If not, the enemy will launch a number of attacks to the Summoner. The number equals the difference between 6 and the number of Combos made. Earth Runestones will be turned into Fire Runestones each Round. For each Fire Runestone dissolved, 0.2 second will be deducted from Runestone-moving time next Round; for each Enchanted Fire Runestone dissolved, 1 second will be deducted from Runestone-moving time next Round (bottom out at 1 second for Runestone-moving time). 10 fixed positions will be burned. Every time when a burned position is touched, 10% of Summoner's HP will be deducted. Recovery -50% for 5 Rounds. The enemy will lock the Active Skills of all Members for 3 Rounds. The enemy only receives Damage if 20 Water Runestones are dissolved cumulatively. When the enemy attacks, 6 random Runestones will be locked; Team Attack -10% for each Locked Runestone dissolved (triggering Dragonic Compulsion will be regarded as dissolving all present Locked Runestones). 2 positions will be changed into Fire Metasphere and Earth Metasphere respectively. Runestones passing through the Metasphere will be changed into Runestones of that specific type (the Runestone held when moving Runestones are not counted). The enemy receives Damage only when 12 or more Fire Runestones and 12 or more Earth Runestones are dissolved in the same Round. Upon the defeat of this enemy, Summoner receives a Damage of 30,000 unless the enemy is defeated by Active Skills (Damage can be reduced by Leader and Active Skills). The enemy will lock the Active Skills of all Members for 5 Rounds. Summoner will not be able to see the true Attributes of Runestones. The enemy receives Damage only when 7 or more Combos are made. If not, the enemy will launch a number of attacks to the Summoner. The number equals the difference between 7 and the number of Combos made. The enemy raids once at the beginning of the first Round, and casts the following debuff on Summoner: the enemy poisons all Monsters for 5 Rounds, causing a Damage of 60% of Summoner's HP every Round until its defeat. The enemy only receives Damage dealt by Enchanted Runestones. When moving Runestones, all touched Runestones will become Masked Runestones. When a Dark Combo is made, the enemy reflects 100% of its Attack and recovers HP as much as the Damage dealt by Summoner in the Round (only the first batch of Runestones dissolved will be counted). Runestone-moving time will be reduced to 2 seconds. The enemy will receive Damage only when Water, Fire, Earth, Light and Dark Runestones are dissolved in the same Round. Damage dealt to the enemy each Round will not exceed 25% of its total HP (Active Skill is excepted from this limitation). Light Runestone position(s) will become sticky. By touching a sticky position, Runestone movement will be stopped immediately. When moving Runestones, all touched Runestones will become sticky. If Sticky Runestones are touched, Runestone movement will be stopped immediately. The enemy receives Damage only when 7 or more Combos are made. If not, the enemy will launch a number of attacks to the Summoner. The number equals the difference between 7 and the number of Combos made. Damage dealt to the enemy by Earth attacks will be lowered to 10%. The enemy only receives Damage dealt by Enchanted Runestones. Team Attack becomes 0 for 5 Rounds. Upon receiving Damage from the enemy's attack, the columns of Runestones on the far left and far right sides will be weathered. If any of these Weathered Runestones are touched, Runestone movement will be stopped immediately and Summoner will receive a Damage of 15,000. At the beginning of the first Round, the enemy attacks once; a random row of Runestones and a random column of Runestones will be turned into Masked Runestones. When a Light Combo is made, the enemy reflects 100% of its Attack and recovers HP as much as the Damage dealt by Summoner in the Round (only the first batch of Runestones dissolved will be counted). The enemy attacks regardless of all Damage-reducing and Willpower Skills. The enemy disregards all Controlling Skills. Upon receiving Damage from the enemy's attack, 2 random Runestones will be electrified. If any Electrified Runestone is touched, Runestone movement will be stopped immediately; if any Electrified Runestone is not dissolved, no Damage could be dealt to the enemy that Round. The enemy will revive for once after defeated, with its Attack, HP and Defense x 3, regardless of all Damage-reducing Skills. The enemy receives Damage only when Runestones are dissolved according to the shape of the frame (Runestones adjacent to the frame cannot be dissolved together). If the above condition is not fulfilled, the enemy will reflect 50% of its Attack twice. At the beginning of the first Round, all Runestones will be locked; Team Attack -20% for each Locked Runestone dissolved (triggering Dragonic Compulsion will be regarded as dissolving all present Locked Runestones). The more the enemy attacks, the more its Attack will greatly increase. When it has attacked for a certain number of times, the enemy attacks twice a Round. The enemy disregards all Controlling Skills. Team Attack becomes 0 for 4 Rounds. All Light Runestones will be exploded by the enemy before the end of each Round. The more the Light Runestones exploded by the enemy, the more times the enemy attacks in the next Round, to the max 20 attacks. The enemy disregards all Controlling Skills. The enemy attacks once at the beginning of the first Round, and turn 12 random Runestones into Masked Runestones. The enemy receives Damage only when 8 or more Combos are made. If not, the enemy will launch a number of attacks to the Summoner. The number equals the difference between 8 and the number of Combos made. All Runestones will be frozen at the beginning of the first Round; if any Frozen Runestone remains, they cannot be dissolved in the next 3 Rounds. The enemy's CD becomes 1. At the beginning of the first Round, Active Skills of all Members will be locked for 1 Round. In the first Round, the enemy explodes all Light Runestones to increase its Attack onwards, and clear the power gathered in the Craft Apparatus to decrease its Damage received onwards. The enemy attacks regardless of all Damage-reducing and Willpower Skills. When a Light Combo is made, the enemy recovers HP as much as the Damage dealt by Summoner in the Round (only the first batch of Runestones dissolved will be counted). When an Earth Combo is made, the enemy recovers HP as much as the Damage dealt by Summoner in the Round (only the first batch of Runestones dissolved will be counted). A random row of Runestones will be turned into Fire Runestones after receiving Damage from the enemy. A random column of Runestones will be turned into Light Runestones after receiving Damage from the enemy. The enemy attacks once at the beginning of the first Round; 4 random positions will be burned. The burning area will extend to 2 adjacent positions afterwards upon receiving Damage from the enemy's attacks. Every time when a burned position is touched, 20% of Summoner's HP will be deducted. Damage dealt to the enemy by Fire and Earth attacks will be nullified. A random row of positions will be burned in the first Round; a random column of positions will be burned in the secod Round. Every time when a burned position is touched, 20% of Summoner's HP will be deducted. The above attacks run as a cycle. When a Fire Combo is made, attacks of the Team will be nullified. The more Fire Combos made, the more times the enemy attacks in the Round. Only the first batch of Runestones dissolved will be counted. Damage dealt to the enemy by Fire attacks will be lowered to 5%. Upon receiving Damage from the enemy's attack for the first time, a random row of Runestones will be turned into Dark Runestones; for the second time, a random column of Runestones will be turned into Dark Runestones. The above attacks run as a cycle. All Runestones will be masked after the enemy is defeated. At the beginning of the first Round, Skill CDs and accumulated Rounds of all Monsters will be reset. The enemy receives Damage only when 7 or more Combos are made. If not, the enemy will launch a number of attacks to the Summoner. The number equals the difference between 7 and the number of Combos made. The enemy raids once at the beginning of the first Round. The Summoner receives a Damage of 1000 for every step moved while moving Runestones for 5 Rounds. The enemy casts the following permanent debuff on Summoner from the first Round onwards: Summoner will be defeated after 6 Rounds. The enemy will receive Damage only when 6 or more Combos are made. 6 random Runestones will be masked after receiving Damage from the enemy's attack. 8 random Runestones will be masked at the beginning of the first Round. The enemy is invisible until its first attack. Before it reveals itself, it receives no Damage (except for Active Skills), regardless of all Controlling Skills. After the enemy has attacked while being invisible, all Active Skills will be locked for 4 Rounds. The enemy receives Damage only when Runestones are dissolved according to the shape of the frame (Runestones adjacent to the frame could be dissolved together). All Runestones will be in black and white. The more the enemy attacks, the more its Attack will greatly increase. When it has attacked for a certain number of times, the enemy attacks twice a Round. When a Dark Combo is made, the enemy recovers HP as much as the Damage dealt by Summoner in the Round (only the first batch of Runestones dissolved will be counted). The enemy raids once at the beginning of the first Round, and turn all Runestones into Water Runestones. After that, a random type of Runestones will be turned into Water Runestones each Round; if the enemy's HP is < 50%, 2 random types of Runestones will be turned into Water Runestones each Round. For each Water Runestone dissolved, 0.2 second will be deducted from Runestone-moving time next Round; for each Enchanted Water Runestone dissolved, 1 second will be deducted from Runestone-moving time next Round (bottom out at 1 second for Runestone-moving time). When a Water Combo is made, attacks of the Team will be nullified (only the first batch of Runestones dissolved will be counted). If the enemy's HP is < 50%, its Attack x 3, regardless of all Damage-reducing and Willpower Skills. Summoner will not be able to see the true Attributes of Runestones. The enemy will only receive Damage when all present Earth Runestones are dissolved (dissolving Earth Runestones is necessary and only the first batch is counted). 2 positions will be changed into Water Metasphere and Earth Metasphere respectively. Runestones passing through the Metasphere will be changed into Runestones of that specific type (the Runestone held when moving Runestones are not counted). The enemy receives Damage only when 15 or more Water Runestones and 15 or more Earth Runestones are dissolved in the same Round. When a Fire Combo is made, the enemy recovers HP as much as the Damage dealt by Summoner in the Round (only the first batch of Runestones dissolved will be counted). The enemy attacks once at the beginning of the first Round, and turns a random row and a random column of Runestones into Frozen Runestones. Frozen Runestones cannot be dissolved for 3 Rounds. The enemy attacks regardless of all Damage-reducing and Willpower Skills. The enemy receives Damage only when Earth Runestones are dissolved according to the shape of the frame (Runestones adjacent to the frame could be dissolved together). The enemy only receives Damage dealt by Enchanted Runestones. The enemy only receives Damage if 30 Earth Runestones are dissolved cumulatively. Team Recovery -25% upon receiving Damage from enemy's attacks. The more number of Damages the Summoner received, the more the Team Recovery will decrease, bottom out at -99%. The enemy will not receive any Damage dealt by Enchanted Runestones. The enemy only receives Damage of its Weakness Attribute. The enemy attacks or changes its Attribute alternatively when the CD reaches 0. The enemy poisons all Monsters, causing a Damage of 90% of Summoner's HP every Round until its defeat. When a Dark Combo is made, the enemy recovers HP as much as the Damage dealt by Summoner in the Round (only the first batch of Runestones dissolved will be counted). When a Fire Combo is made, the enemy recovers HP as much as the Damage dealt by Summoner in the Round (only the first batch of Runestones dissolved will be counted). Each Round before Summoner starts moving Runestones, all Light Runestones will be locked; Team Attack -20% for each Locked Runestone dissolved (triggering Dragonic Compulsion will be regarded as dissolving all present Locked Runestones). The enemy receives Damage only when Runestones are dissolved according to the shape of the frame (Runestones adjacent to the frame cannot be dissolved together). The enemy attacks regardless of all Damage-reducing and Willpower Skills. A random row of Runestones will be turned into Water Runestones after receiving Damage from the enemy. A random column of Runestones will be turned into Dark Runestones after receiving Damage from the enemy. The enemy receives Damage only after Summoner's 20th attack. Upon receiving Damage from Summoner's attacks (excluding Active Skills and Compulsion Skills), the enemy will reflect 50% of its Attack twice. The enemy disregards all Controlling Skills. The enemy raids once at the beginning of the first Round. Upon receiving Damage from the enemy's attack, a random column of Runestones will be turned into Water Runestones. Runestone-moving time will be reduced to 2 seconds. When a Water Combo is made, attacks of the Team will be nullified. The more Water Combos made, the more times the enemy attacks in the Round. Only the first batch of Runestones dissolved will be counted. A random row of Runestones will be turned into Earth Runestones after receiving Damage from the enemy. A random column of Runestones will be turned into Fire Runestones after receiving Damage from the enemy. The enemy only receives Damage if 20 Fire Runestones are dissolved cumulatively. 2 random positions will be burned cumulatively upon receiving Damage from enemy's attacks. Every time when a burned position is touched, 10% of Summoner's HP will be deducted. The enemy disregards all Controlling Skills. Each Round before Summoner starts moving Runestones, all Fire Runestones will be locked; Team Attack -20% for each Locked Runestone dissolved (triggering Dragonic Compulsion will be regarded as dissolving all present Locked Runestones). The lower the enemy's HP, the dramatically greater its Attack will be. When its HP drops to a certain level, the enemy attacks twice a Round. Each Round before Summoner starts moving Runestones, 2 random Runestones will be weathered. If any Weathered Runestone is touched, Runestone movement will be stopped immediately and a Damage of 15,000 will be dealt to Summoner. Attack and Defense of the other enemies x 3 and 100% of their HP will be recovered each Round. The enemy attacks regardless of all Controlling Skills, Damage-reducing and Willpower Skills. The enemy only receives Damage dealt by Enchanted Runestones. The enemy only receives Damage if 20 Earth Runestones are dissolved cumulatively. Team Recovery -20% upon receiving Damage from enemy's attacks. The more number of Damages the Summoner received, the more the Team Recovery will decrease, bottom out at -99%. The enemy receives Damage only when Enchanted Water Runestones, Enchanted Fire Runestones and Enchanted Earth Runestones are dissolved in the same Round. 90% of Summoner‘s HP will be deducted when the enemy attacks (regardless of all Damage-reducing and Willpower Skills). The enemy disregards all Controlling Skills. After a Damage is dealt to the enemy, its Attack and Defense will greatly increase in 5 rounds and it will attack twice. In the first Round, 2 random columns of Runestones will be turned into Masked Runestones. Puzzle Shield: the enemy receives Damage only when Runestones are dissolved according to the shape of the frame (Runestones adjacent to the frame cannot be dissolved together). The more the enemy attacks, the more its Attack will greatly increase. When it has attacked for a certain number of times, the enemy attacks twice a Round. 9 random Runestones will be weathered at the beginning of the first Round. After that, 3 random Runestones will be weathered each Round. The no. of attacks of the enemy increases with the no. of Weathered Runestones. If any Weathered Runestone is touched, Runestone movement will be stopped immediately and a Damage of 15,000 will be dealt to Summoner. Damage dealt to the enemy by non-Dark attacks will be lowered to 10%. Runestone-moving time will be reduced to 2 seconds. The enemy receives Damage only when 9 or more Combos are made. If not, the enemy will launch a number of attacks to the Summoner. The number equals the difference between 9 and the number of Combos made. The enemy disregards all Controlling Skills. At the beginning of the first Round, all effects in play will be cancelled by the enemy; Active Skills of all Members will be locked for 1 Round. The enemy will not receive any Damage until its first Attack. The enemy's Attack greatly increases when it first attacks. At the beginning of the first Round, all Runestones will be locked; Team Attack -20% for each Locked Runestone dissolved (triggering Dragonic Compulsion will be regarded as dissolving all present Locked Runestones). 100% of Summoner‘s HP will be deducted when the enemy attacks (regardless of all Damage-reducing and Willpower Skills). The enemy disregards all Controlling Skills. Team Recovery becomes 0. Summoner will not be able to see the true Attributes of Runestones. When a Heart Combo is made, attacks of the Team will be nullified. The more Heart Combos made, the more times the enemy attacks in the Round. Only the first batch of Runestones dissolved will be counted. The enemy raids once at the beginning of the first Round. The Summoner receives a Damage of 1000 for every step moved while moving Runestones for 98 Rounds. Runestone-moving time will be reduced to 2 seconds. Each Round while Summoner is moving Runestones, 1 random Runestone will be weathered. If any Weathered Runestone is touched, Runestone movement will be stopped immediately. The enemy will only receive Damage when all present Dark Runestones are dissolved (dissolving Dark Runestones is necessary and only the first batch is counted). Each Round while Summoner starts moving Runestones, a random number of Combos will be assigned. Damage can be dealt to the enemy only by making the same number of Combos (dissolving Runestones is necessary) (only the first batch of Runestones dissolved will be counted). If the same number of Combos are made, the enemy will not attack in the Round; if not, the enemy launches a number of attacks. The number equals the difference between the assigned number and the number of Combos made. The enemy changes its Attribute every 2 Rounds (Water, Fire and Earth). The enemy only receives Damage of its Weakness Attribute. For Damage dealt by attacks of other Attributes, the enemy will reflect 100% of its Attack. Each Round before Summoner starts moving Runestones, Runestones of the enemy's Attribute will be frozen; if any Frozen Runestone remains, they cannot be dissolved in the next 3 Rounds. The enemy disregards all Controlling Skills. When the enemy's HP > 30%, the next Damage dealt will not defeat the enemy (including Active Skills). When the enemy's HP becomes 1, its HP will be fully recovered; the enemy will turn into Dark Attribute; Attack of the enemy x 2; Damage dealt to the enemy by Dark attacks will be lowered to 10%. The enemy raids once at the beginning of the first Round. Upon receiving Damage from the enemy's attack, 4 random Runestones will be frozen. Frozen Runestones cannot be dissolved for 3 Rounds. At the beginning of the first Round, all effects in play will be cancelled by the enemy; a random type of Runestones will be turned into Water Runestones. Upon receiving Damage from the enemy's attack for the first time, a random column of Runestones will be turned into Water Runestones; for the second time, a random row of Runestones will be turned into Water Runestones. The above attacks run as a cycle. The enemy will only receive Damage when all present Earth Runestones are dissolved (dissolving Earth Runestones is necessary and only the first batch is counted). At the beginning of the first Round, Summoner's HP will be depleted to 1, and 1 random position will be burned. After that, 1 more position will be burned upon receiving Damage from the enemy's attack. Every time when a burned position is touched, 10% of Summoner's HP will be deducted. 90% of Summoner's HP will be deducted when the enemy attacks (regardless of all Damage-reducing Skills and Willpower Skills). At the beginning of the first Round, Skill CD(s) and accumulated Rounds of Beast(s) will be reset. Each Round before Summoner starts moving Runestones, all Dark Runestones will be locked; Team Attack -20% for each Locked Runestone dissolved (triggering Dragonic Compulsion will be regarded as dissolving all present Locked Runestones). The lower the enemy's HP, the dramatically greater its Attack will be. When its HP drops to a certain level, the enemy attacks twice a Round. Summoner will not be able to see the true Attributes of Runestones. When a Dark Combo is made, the enemy recovers HP as much as the Damage dealt by Summoner in the Round (only the first batch of Runestones dissolved will be counted). 2 positions will be changed into Dark Metasphere. Runestones passing through the Metasphere will be changed into Dark Runestones (the Runestone held when moving Runestones are not counted). The enemy attacks once at the beginning of the first Round. Upon receiving Damage from the enemy's attacks for the first time, a random row of positions will become sticky; for the second time, a random column of positions will become sticky. By touching a sticky position, Runestone movement will be stopped immediately. The above attacks run as a cycle. The enemy will not receive any Damage including those caused by Active Skills. 25% of the enemy's HP will be deducted when 4 Combos are made (only the first batch of Runestones dissolved will be counted). Damage dealt to the enemy each Round will not exceed 25% of its total HP (Active Skill is excepted from this limitation). Heart Runestones will be turned into Runestones of the enemy's Attribute every Round. The enemy poisons all Monsters, causing a Damage of 50% of Summoner's HP every Round until its defeat. When a Water Combo is made, the enemy recovers HP as much as the Damage dealt by Summoner in the Round (only the first batch of Runestones dissolved will be counted). All effects in play will be cancelled by the enemy at the beginning of the first Round; CD of the cancelled Skills will be reset. Runestone-moving time will be reduced to 2 seconds. The enemy will clear the power gathered in the Craft Apparatus at the beginning of the first Round. The enemy is invisible until its first attack. Before it reveals itself, it receives no Damage (except for Active Skills), regardless of all Controlling Skills. The enemy's Attack greatly increases while being invisible, regardless of all Damage-reducing and Willpower Skills. When the enemy's HP ≤ 70%, Team Attack becomes 0 next Round; the enemy's Attack x 3 starting from next Round. The enemy only receives Damage if 50 or more Runestones of its Weakness Attribute are dissolved cumulatively (regardless of Attribute-altering Skills). Upon receiving Damage from the enemy's attack for the first time, a random column of Runestones will be turned into Earth Runestones; for the second time, a random row of Runestones will be turned into Earth Runestones. The above attacks run as a cycle. If Beast(s) or Demon(s) is present, the enemy's Attack increases. At the beginning of the first Round, the enemy will turn into Earth Attribute and turn Runestones of a random type into Earth Runestones. When an Earth Combo is made, attacks of the Team will be nullified. The more Earth Combos made, the more times the enemy attacks in the Round. Only the first batch of Runestones dissolved will be counted. The enemy disregards all Controlling Skills. 2 random positions will become sticky. By touching a sticky position, Runestone movement will be stopped immediately. Reduce Runestone-moving time by 2 seconds for 5 Rounds (bottom out at 1 second for Runestone-moving time). All Heart and Earth Runestones will be locked in the first Round and also as Summoner receives Damage from the enemy's attack; if any Locked Runestone remains, the enemy recovers HP as much as the Damage dealt by Summoner in the Round. The enemy disregards all Controlling Skills. The enemy ignores all Damage-reducing and Willpower Skills. The enemy will revive after defeated until Summoner is attacked for 3 times; the enemy's Attack -50% after each of the first 3 revivals. When the enemy receives Damage of its Attribute, Damage will be lowered to 25%. All Runestones will be locked in the first Round. After that, Runestones of the enemy's Attribute will be locked as Summoner receives Damage from the enemy's attack. Team Attack -10% for each Locked Runestone dissolved (triggering Dragonic Compulsion will be regarded as dissolving all present Locked Runestones). 25% of Summoner‘s HP will be deducted when the enemy attacks (regardless of all Damage-reducing and Willpower Skills); the more number of Damage the Summoner received, the more the enemy's Attack will increase. Upon receiving Damage from the enemy's attack for the first time, a random column of Runestones will be turned into Light Runestones; for the second time, a random row of Runestones will be turned into Light Runestones. The above attacks run as a cycle. Upon receiving Damage from the enemy's attack for the first time, a random row of Runestones will be turned into Earth Runestones; for the second time, a random column of Runestones will be turned into Earth Runestones. The above attacks run as a cycle. The enemy attacks once at the beginning of the first Round, and locks all Earth Runestones. Team Attack -20% for each Locked Runestone dissolved (triggering Dragonic Compulsion will be regarded as dissolving all present Locked Runestones). Attack and Recovery can only be triggered when Summoner starts moving Runestones from the specific position (green vortex) and ends at the specific position (red vortex). (No Recovery can be triggered before fulfilling the condition) When a Water Combo is made, the enemy recovers HP as much as the Damage dealt by Summoner in the Round (only the first batch of Runestones dissolved will be counted). The enemy receives Damage only when Enchanted Heart Runestones are dissolved according to the shape of the frame (Runestones adjacent to the frame can be dissolved together). All effects in play will be cancelled by the enemy at the beginning of the first Round; CD of the cancelled Skills will be reset. At the beginning of the first Round, 16 Runestones and 14 Runestones at fixed positions will be turned into Fire Runestones and Earth Runestones respectively. After that, all Light Runestones will be turned into Earth Runestones each Round. When an Earth Combo is made, attacks of the Team will be nullified. The more Earth Combos made, the more times the enemy attacks in the Round. Only the first batch of Runestones dissolved will be counted. At the beginning of the first Round, all effects in play will be cancelled by the enemy; Skill CDs and accumulated Rounds of all Monsters will be reset. The enemy raids once at the beginning of the first Round. Upon receiving Damage from the enemy's attacks, all Dark Runestones will be weathered. If any Weathered Runestone is touched, Runestone movement will be stopped immediately and a Damage of 15,000 will be dealt to Summoner. When Dark Runestones are dissolved, attacks of the Team will be nullified (only the first batch of Runestones dissolved will be counted). Team Recovery -25% upon receiving Damage from enemy's attacks. The more number of Damages the Summoner received, the more the Team Recovery will decrease, bottom out at -99%. When the enemy's HP ≤ 30%, all Heart Runestones will be exploded by the enemy at the end of the Round to generate Dark Runestones (one activation only); its HP will be fully recovered (one activation only); the enemy's Attack x 2.